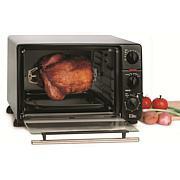 Brown your toast to perfection with this compact toaster oven from DASH. 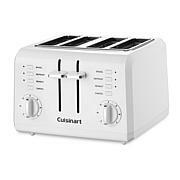 Featuring a range of temperatures, it lets you choose your preferred toasting level with the turn of a dial. 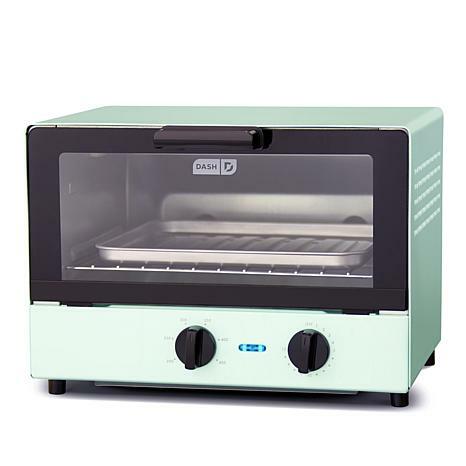 Use the included tray and rack to toast anything from bread to bagels or even cook an open-faced panini. 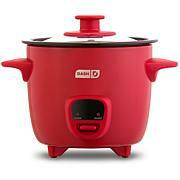 Plus, the auto shutoff function prevents overheating so you always achieve your desired result. 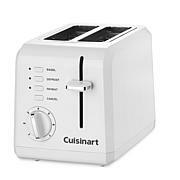 Your side of toast will be up in a DASH! This is the perfect size for me. Its small but powerful. Its good if your trying put a couple things in it and don't want to turn on the oven. I got red and the color is beautiful. great product. love the small size because it doesn't take up much space on the counter. I can leave this out all the time. Cooks great. perfect for me hand my husband. Cute, and the colors awesome! I ordered it for my daughter as a b day gift so I have a star rating based on price and appearance only! I won't know anything until July 2019 because that's her n day month.